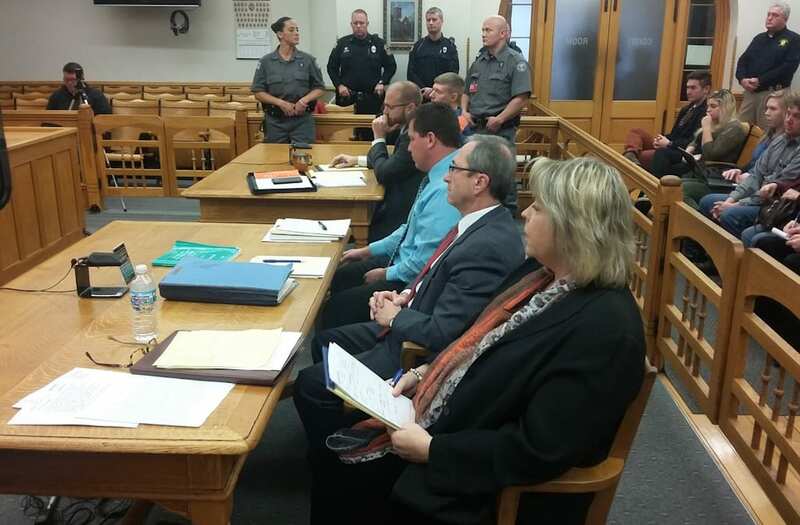 LUDINGTON, Mich. (WXMI) – A man convicted of 2nd degree murder of his daughter has been sentenced to 19 to 45 years in prison. Sean Phillips was convicted in October of killing Katherine Phillips in June 2011. "Baby Kate" was four months old when she was last seen. Phillips was already serving a 10-year sentence for kidnapping the girl. The jury took three days in October to reach their verdict of second-degree murder. The judge, Peter Wadel, had thrown out the possibility of reaching a guilty verdict for first-degree premeditated murder, leaving the jury with lesser charges to consider. The trial lasted three weeks. Prosecutors had said Phillips, 26, had a turbulent relationship with Kate's mother and didn't want the baby. Kate "was a financial burden and an impediment to the defendant's lifestyle," Assistant Attorney General Donna Pendergast told jurors. A key piece of evidence was a note written to Kate's mother, Ariel Courtland, by Phillips. He described how, in a fit of anger, Kate somehow was thrown from her car seat when he yanked the seat. He wrote that he "held her for a long time" and that she was in a "peaceful place."